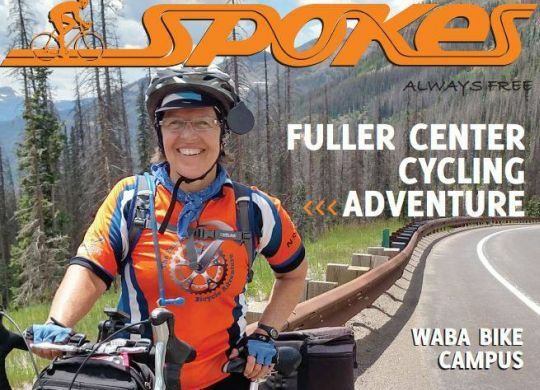 Not only is the Fuller Center Bicycle Adventure featured on the cover of the latest Spokes magazine, but the ride is featured extensively in the issue from pages 6 through 10. We could tell you all about it, or you can simply read it below. The Bicycle Adventure’s cross-country summer ride begins June 10 in Seattle and wraps up August 14 in Washington, D.C. Fantastic article! I’m so proud of all the bicyclists! I wish I could participate, but I’m in South Korea living on my Social Security pension. I want to eventually start a SPOKE here if I have the time. I’m working on a ‘free’ (except for the book costs) Master’s in Theology Degree, writing ESL materials for my employer (who has all volunteers now, so I haven’t received any salary for a year) who is trying to keep 2 Christian schools near Seoul (Ilsan and his own, in Yangpyeong) running and I teach English at the church I attend, also. I really could lose some weight if I went on that ride from Seattle to Washington D.C. for a worthy cause too! I’m ‘jealous’ (just joking). I’d love to do that as a ‘bucket list item’, etc.